The parties to the conflict had a meeting before the shooting. 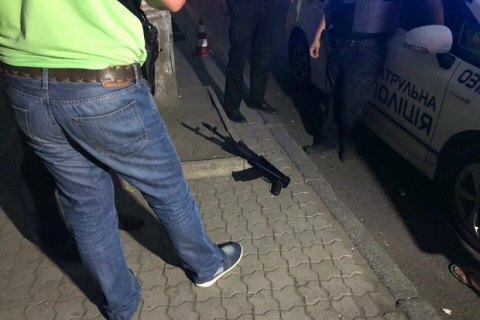 The shootout in Dnipro late on Monday, 24 July, in which two former ATO fighters were killed, was caused by a clash of "economic interests", said Oleh Hroz, the acting chief of the regional police. Hroz said the representatives of the two conflicting parties had a meeting before the shootout to try and settle the conflict. He said four wounded attackers were hospitalized after the shootout. In the meantime, the editor-in-chief of the Censor.NET online publication Yuriy Butusov said that the shootout was provoked by professional hitmen hired by a businessman who is in long-standing conflict with Sahakyan. Censor.NET posted the photos of the wounded attackers in a hospital. Yesterday, several people armed with assault rifles opened fire at former ATO fighters. The latter returned fire using pistols. In the ensuing shootout, former ATO fighters Oleksiy Vagner and Maksym Ivashchuk were killed while Edmond Sahakyan and several others were wounded. Some of the attackers fled the scene and are being searched by the Dnipro police.